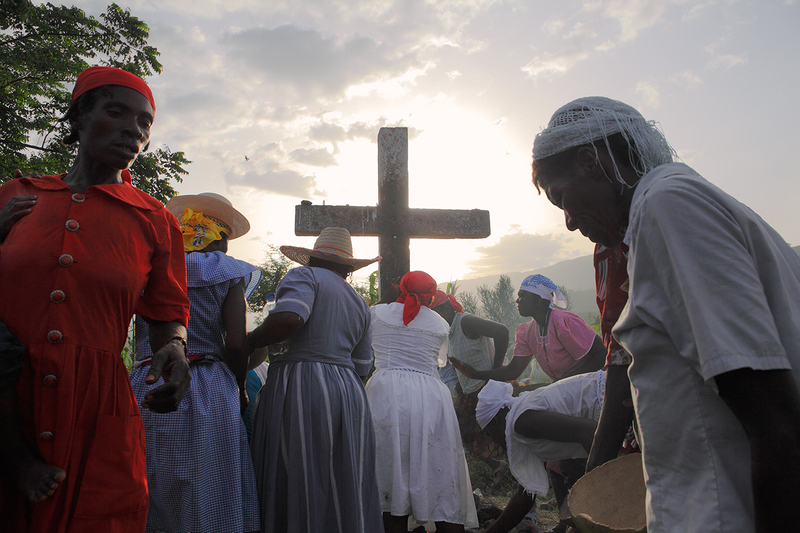 Haitian Vodou is unique in that its rituals were commingled as a result of slavery. Not only with Catholicism which was assimilated into the ancient African symbology, but also a tribal fusion was created between the Nago, Congo, Dahomey, Senegalese, Ethiopian and many other tribes brought to the island of Hispaniola. Hill of the Calvary Cross, Haiti.